When we first started Yepocapa Coffee, we had a lot of ideas in our minds! We wanted to see coffee farming become a sustainable career, we wanted to see the farmers produce amazing coffees, and we wanted Yepocapa to be known amongst Guatemalans as a region of excellence amongst smallholder coffee farmers etc etc. But above all, it has been our passion to honor coffee farmers and their work. One of the ways we were able to do that this year was to separate out coffees by regions in Yepocapa. This lot is a dual-varietal lot that comes from 3 farmers in the Pachup area of Yepocapa. One of them is named Don Luis Sajar Umul. Don Luis was one of the first farmers we interviewed for a documentary our friend Devon Barker was working on a few years back. To our surprise he spoke for what seemed to be hours about his life history as it revolved around coffee. Don Luis is over 80 years old and he is now the only living founder of La Cooperativa San Pedrana which was founded 52 years ago. Holy crap! That’s crazy hey?! Don Luis is a three-generation coffee farmer. His dad farmed the same lot that his grandfather did before him. He helped us realize that coffee is so much more than a form of income. It’s a way of life and even a way in which you can stay connected with your family. 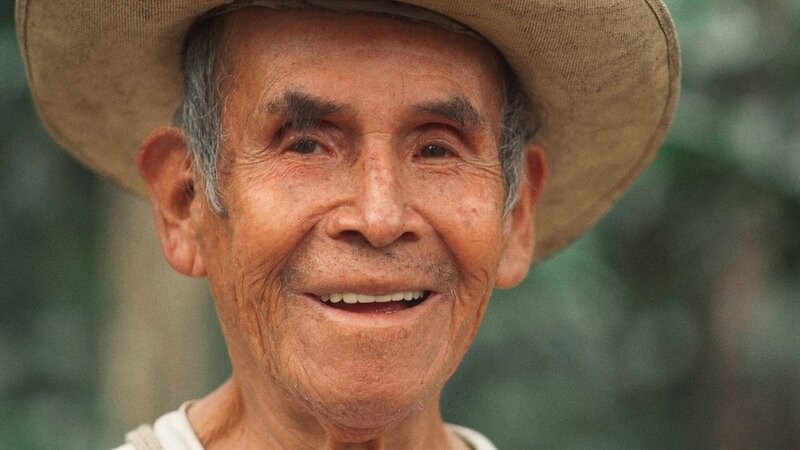 For Don Luis, farming means taking care of his families land and honoring them in it. You could tell too. The shade trees were consistently spaced offering a great shade-cover and his plants were full of life. There was a beauty to his land that couldn’t necessarily be described but rather experienced. Separating out his lot this year and being able to receive prices based upon the quality of his lot enables him to someday show his family that coffee farming can be a profitable career. Much of his conversation that day was about his family. If coffee farming isn’t profitable, his family won’t continue this 3 almost 4 generational work. His joy would be to pass onto his children an established plot of land that could offer a profitable career to his children. We intend to partner with him in this hope. For this reason, we hope you enjoy this exotic coffee from his parcel Pachup! Cupping Notes: Lemon-Lime Kiwi Acidity, Orange Zest, Strawberry Stone-fruit, Light-medium body, Great Complexity.